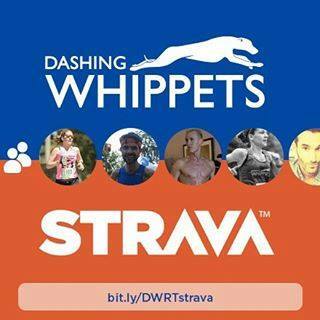 New for 2016: The Dashing Whippets Running Team and Strava. In 2016, the Dashing Whippets are utilizing the community and sports social media utilities available on Strava. DWRT members are encouraged to join the team’s Strava group and share data and run planning. This welcome note from Strava describes the benefits available to the club. Set up your free Strava account. And, join the Dashing Whippets Strava group. Link your Garmin or other GPS watch. When you upload to Garmin, data from your watch will then load automatically to Strava. You can tag a run as private if you wish, and your privacy is assured. Feel free to join groups set up for big races: the Brooklyn Half, or out of town marathons. Strava has a nice mapping tool in beta for mapping runs. Try it out for route mapping and group runs. After your run, feel free to post photos, and add encouraging comments! We are very grateful to Strava’s support for the Dashing Whippets, and we hope you enjoy the functionality and community utilities Strava provides. Stay tuned for informative blog posts in the weeks ahead. If you have discovered interesting new features in Strava, let us know and write a blog post! Strava, Inc. is a 2016 Team Sponsor to the Dashing Whippets Running Team, Inc. If you would like to suggest a business in the sports technology or related fields as a potential sponsor, please feel free to contact sponsorships@dashingwhippets.org.